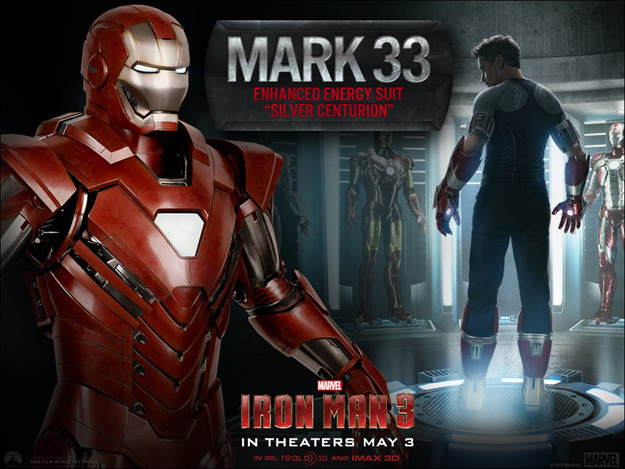 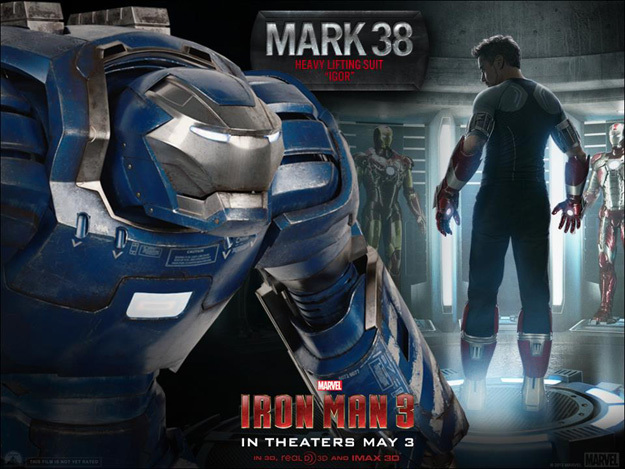 As part of an ongoing contest on the film's official Facebook page, Walt Disney Pictures and Marvel Studios' Iron Man 3 has revealed a closer look at two of the alternate armor designs that will be showcased in the May 3 release. 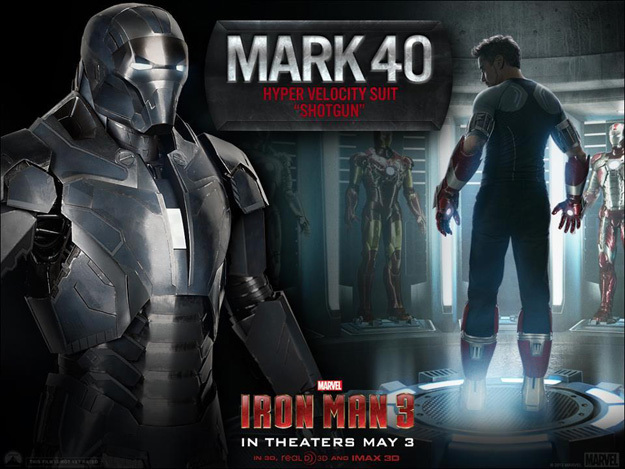 Take a look below at the Mark XXXIII, an "Enhanced Energy Suit" dubbed "Silver Centurion," the Mark XL, a "Hyper Velocity Suit" nicknamed "Shotgun," Mark XVII, a "Artillery Level RT Suit" dubbed "Heartbreaker" and the Mark XXXVIII, a "Heavy Lifting Suit" called "Igor." 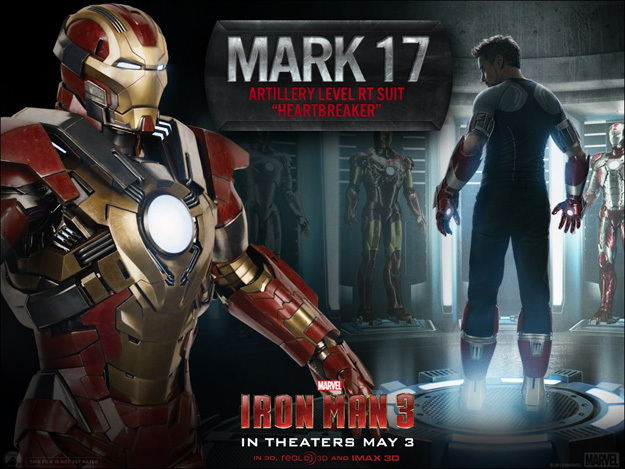 I don't know why they don't just call it The Hulkbuster - everyone knows that's what it is!